Promoted and presented different SE products. Good Goods Social Enterprise Concept Store (Good Goods) is a pioneering concept store that promotes sustainable consumption. It is a store under the operation of Hong Kong Council of Social Service and is jointly sponsored by Power Assets Holdings Limited and the Partnership Fund for Disadvantaged. Good Goods mainly showcases products related to SE, fair trade, organic and with social meaning. We collects products with stories from various parts of the world, including, Bhutan, Thailand, Japan and Taiwan, etc. Good Goods also supports local made in Hong Kong product so as to bring positive impact to Hong Kong and to the society. The SE Gift Certificate has now been launched, which allows you to shop in more than 70 local social enterprises or fair-traded locations. Take action and make a change NOW. Use the certificates and go for your delightful SEs journey! 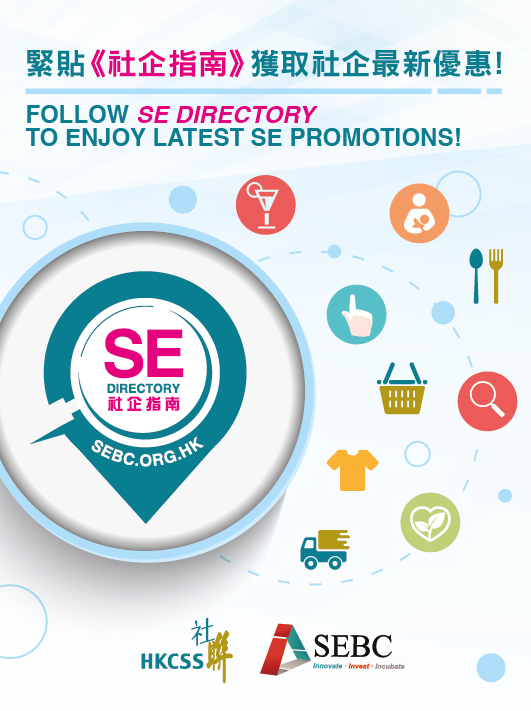 Cooperating with different SEs, Good Goods promotes and presents different SE products including festive products. Corporate can also order tailor-made SE products for different specific occasions and events. Easy online shopping for SE products? There is a online shop for Good Goods on Fingershopping platform. You can just click www.fingershopping.com/goodgoods and choose your products, then you can pay and pick up your ordered products at any Circle K shops nearby!